Zimbabwe’s recent crisis has subjected its people to the breadline than ever before with the government preaching the ‘tighten your belt’ gospel in a bid to secure resources to bail the nation from the debt abyss. Central to the country’s economic woes is its debt which Zimbabwe Coalition on Debt and Development (ZIMCODD) estimates to be standing at USD$18 billion. This has been largely due to corruption that has manifested in various economic sectors including financial illicit flows. Zimbabwe’s all weather friends; the Chinese, topped the externalization list of funds and resources when Mnangagwa announced the list in March 2018 in a rhetoric naming and shaming exercise. Shaming was the only punishment illicit financial culprits received. Before Mnangagwa, former President Robert Mugabe had also raised a red flag on the Chinese business institutions that they do not bank with local banks. The idea that there were no arrests made, leaves a lot to be desired. This then leaves Zimbabweans with one conclusion, the government, including the previous one led by Mugabe, are all accomplices in this racket of externalization of resources. The country’s economy has been thus left wanting with its debt swelling at a faster pace. ZIMCODD has emerged since the beginning of the new millennium to challenge the government’s counterfeit concern on the dishonest business dealings that milked the country’s resources out. “Thus, despite concerted efforts by authorities and banks to request these entities and individuals to account for the externalised funds, the entities or individuals failed, ignored or neglected to respond to the Amnesty. “It is against this background that the authorities have no recourse to cause these entities and individuals to respond, other than to publicise the names of the entities and individuals so that the concerned parties take heed of the importance of good corporate governance and the legal obligation of the citizenry and where necessary, to ensure that those responsible for such illicit financial flows are brought to justice,” Mnangagwa said then. 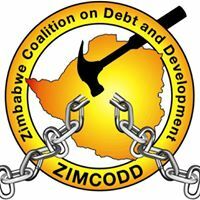 In pursuance of economic and social justice in the former British colony, ZIMCODD fronts debt audit gospel seeking to enlighten and stimulate the citizenry leaving them at the sustainable debt management strategy spin. Falling in the class of civil society organization, ZIMCODD anchors its debt sermon on three key aspects; the country’s natural resources must benefit its own people, accountability on their expropriation must be a priority as well as addressing the country’s financial system which has proved to be porous, giving the green light to illicit financial flows. However, ZIMCODD argues that corruption can be stopped through transparent and legitimate conduct in all institutions that deal with public finances. The fact that Zimbabwe is a natural resource host is not disputable, but what is challenged are repatriation processes which have left the communities that have such resources empty handed while counting loses on land degradation among other environmental ills particularly in mining zones. ZIMCODD’s national public finance management tour which kicked off recently is coming face to face with the citizenry, who shared the sentiment of resource robbery by the state without benefit at all. Marange Chiadzwa community members whose environment has seen a lot being milked out with little coming in return. The diamond mineral discovered as far back as a decade ago now, have failed to turn the fortunes of the communities. Former President Robert Mugabe lamented the loss of revenue out of the Manicaland gem estimating that the country lost USD$ 15 billion or more. Former finance minister Tendai Biti raised alarm between 2009 and 2013 lamenting that the diamond mining companies dominated by the Chinese were not remitting proceeds to the treasury. This is just but one example that demonstrate rotten systems in resource management whose accountability in mineral exploration raises more questions than answers. One is therefore left guessing how the country’s debt ballooned at a time when minerals ranging from diamond, gold, platinum, chrome, and lithium among others continue to be extradited at a higher rate by local and foreign companies. The act of murky engagements in mining deals cuts across all minerals with the latest Hwange Colliery mining scandal sucking in the President Emmerson Mnangagwa and Mines and Mining Development Minister Winstone Chitando. Kwekwe gold fields continue to be ravaged by artisanal miners popularly known as makorokoza whose proceeds is also reported to be used to pay bigwigs. “There is a disconnection between resources and the GDP. Are the resources being extracted from this country being accounted for? And how much damage is being done to our environment in the process of informal extraction of resources? I think we are just overburdened with questions that don’t have answers,” said a worried Nicola Watson, Bulawayo central legislator. Auditing processes are employed to cleanse organizations’ public image as auditors report back to company management. There is an unbreakable linkage between auditing institutions and companies. Even at government level the curse is the same. A couple of months ago, the Anti-Corruption Commission was wholly disbanded on the back of its failure to descend on corrupt individuals. Prior to its disbanding, President Mnangagwa had established a special anti-corruption unity in his office raising concerns over how the commission was going to deal with other matters that implicated the President himself. This then ran parallel with the narrative the new dispensation was ridden upon, which was of pinning all criminals, who allegedly fleeced public funds taking advantage of siding with the aging Mugabe. Following countrywide public finance management reform indabas, ZIMCODD embarked on, Zimbabweans across all disciplines and in their inclusive demographics, have called for the debt audit. The shared feeling is that the ordinary men cannot be punished for the sins recklessly committed by the political big wigs particularly government officials. This comes on the back of under carpet borrowing deals government has been doing since 2000 without following legally stipulated guidelines by the constitution. To make matters worse, loans that were acquired have not benefitted the country or even develop the economic infrastructure. The public is utilizing the platform ZIMCODD has created to proffer the way forward. There are only two dominating resolutions; audit the national debt to establish the legitimate debt and bring to book those responsible for borrowing to satisfy their personal interests. Speaking at the ZIMCODD Public Finance Management Indaba in Bulawayo recently, residents have came out guns blazing and asked for the powers that be to charge those implicated in these debts adding that austerity measures should be taken. “I concur with the idea of having a debt audit and those responsible for acquiring loans illegal must be brought to book,” Watson said. The government threw out through the window the aspects of section 298 that spells out principles of public finance management. This points to a deliberate subjugation of the constitution. Bulawayo central legislator Nicola Watson therefore called for punishment of those responsible. What is surprising is the keenness by the government to assume parastatal debts for example the Telone debt. This literally means when state assumes that debt, then the tax payer, who were not involved in borrowing and using the money at Telone are now being made to suffer for things they did not enjoy. Austerity for posterity at whose expense? The government’s public finance suffer from accountability a system that oils corruption draining the country’s resources at the expense of the big wigs. Due to weak institutions that often carry out auditing work, it has turned out to be just but a cover in most parastatals, where government is fingered. The lack of the rule of law has seen most culprits walking scot free after committing such crimes. The citizens, enlightened by ZIMCODD debt audit advocacy, are unanimously geared to take the bull by its horns. Social and economic justice activist Brain Kagoro told delegates at one of the public finance reform indabas in the capital a couple of weeks ago that it was high time the ordinary men demand justice for the abuse of state resources. The parliament will soon receive a petition that speaks to the effect of debt audit.